What does Bhardwaj mean, details, origin, short & easy attributes? Bhardwaj Name Meaning. Indian (northern states): Hindu (Brahman) name, from Sanskrit bharadvaja 'descendant of bharadvaja', bharadvaja meaning 'one who has strength or vigor' (a compound of bharat 'bearing' + vaja 'vigor'). According to legend, Bharadvaja (bharadvaja) was the name of one of the great sages. Bhardwaj is baby boy name mainly popular in Hindu religion and its main origin is Hindi. Bhardwaj name meanings is A sage, A mythical bird, Skylark, Strong and fast. People search this name as Bhardwaj, Arna bhardwaj. Bhardwaj is written in Hindi as भरद्वाज. Other similar sounding names can be Bharadwaj. Each letter meanings in Bhardwaj Name. Popular personalities with Bhardwaj Name. 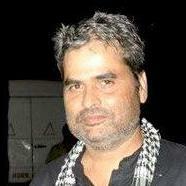 Vishal Bhardwaj is a director, producer, writer, music director, and singer. He was most prominent from 1995 to present. Vishal was born on August 4th, 1965 in Bijnor, Uttar Pradesh, India. Siddharth Bhardwaj is an actor, model, and mtv vj. Siddharth was born on March 3rd, 1987 in Delhi, India. Siddharth is also known as SID. 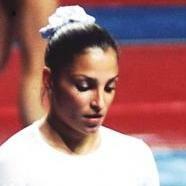 Mohini Bhardwaj is a gymnast. Mohini was born on September 29th, 1978 in Philadelphia. Shweta Bhardwaj is an actress and model. She was most active from 2007 to present. Shweta was born on September 30th, 1985 in Mumbai, India. 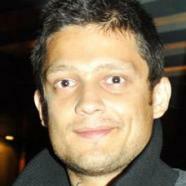 Anil Bhardwaj is a in the fields of space, planetary science, and outline of space science. Anil was born on June 1st, 1967 in Mursan, Aligarh District, Uttar Pradesh, India. Sarmod Bhardwaj is a cricketer.